Can We Save the Spoon-billed Sandpiper? Halfway through a butterfly census in southwestern New Jersey one sweltering afternoon last summer, my wife and I were scanning for hairstreaks and skippers low along a line of pepperbush when a much larger creature trotted into view. The sudden change of scale startled me, but not as much as Jesse’s ID. Yes, a female, and gone down a little path back into the brush almost as soon as it had appeared. “A long time ago,” Jesse said with a sigh. At the count-up that evening our Northern Bobwhite stirred more comments than any butterfly we reported. Driving home that evening, Jesse and I couldn’t remember when we had last heard bobwhites in our rural and suburban neighborhood. Was it 10 years ago? Fifteen? Once, a male stood in the yard across the street in plain sight for several minutes, calling as if expecting a response. I thought that had happened 12 or 15 years ago. She just shook her head. Back in our kitchen I paged through our perpetual calendar until I found the date: June 8, 1990. Twenty-two years had passed. Most of those years had been bad for bobwhites, it seemed, but I have to confess the decline had registered only in the corner of my eye. It might be simply a reflection of my own biases, but I can’t help wondering: Is the bobwhite lower on most birders’ worry lists than it should be because it is one of “their” birds—a gamebird? Are we overlooking its current problems because it is a species that hunters and state game commissions care about and a bird that we believe, given all their resources, they should be protecting more successfully? Birders did not invent the distinction between game and nongame animals, of course. Not so long ago, the only birds that earned intensive protection and conservation in the U.S. were the handful of species—quail, grouse, ducks, and a few others—that were pursued by hunters. That wasn’t only because of a culture-wide general attitude about the value of animals. It was also because hunters provided virtually all the money that funded that protection. Massachusetts, New Hampshire, California, and a few other states have regulated hunting and fishing since the 1800s, but most states lacked the resources to monitor game or to protect habitat in any significant way until the Pittman-Roberston Act was passed by Congress and signed by President Franklin D. Roosevelt in 1937. The law controlled the collection and distribution of hunting license revenues and led, directly and indirectly, to stronger conservation efforts across the country. In later years, extensions of the act added taxes on guns and ammunition, and the Dingell-Johnson Act of 1950 drew money from fishing licenses and equipment as well. The combination of those two laws and the federal management of both sets of funds through the Secretary of the Interior made a powerful force for conservation. Birders, hikers, photographers, and nonhunting environmentalists had been clamoring for better protection for a wider spectrum of wildlife since long before Pittman-Robertson and continued to do so after the act passed, but all of us have to admit that hunting fees and taxes on hunting and fishing activities have saved millions of acres of wilderness across the country—and, as pointed out countless times, the refuges and wildlife management areas created by money collected from hunters protect many more species than the few creatures that hunters pursue. The NBCI is a “unified range-wide strategy of 25 state wildlife agencies, with numerous conservation group and research institution partners” attempting to pull together a national effort to bring the quail back to “huntable populations.” The challenge seems enormous. The bobwhite is troubled in every single one of the 25 participating states, from Texas north to Nebraska and Iowa and east to Pennsylvania and New Jersey. Different states calculate their numbers in different ways, but every one reports a statewide decrease over the past 40 years, and in most areas the numbers are grim. In Florida, the decline since 1966 has been 82 percent. In Kentucky in the same period the drop is 83 percent. In Georgia, where the bobwhite is the state game bird, the species has declined 85 percent since 1966. A few states note the best news they can muster, “The rate of decline has slowed,” but others offer sadder news. In most states the rate of decline has accelerated significantly in the most recent five or 10 years. The report from Pennsylvania notes that there might now be as few as 500 bobwhite quail remaining in the entire state. The causes of the decline are myriad and only partly understood, it seems. Bobwhites do best in early successional habitats that are regularly disturbed. Fire and partial clearing are helpful for both feeding and nesting. Seeds and leaves of native plants are the primary food of adults. The relatively small clearings created and maintained by farmers of the 19th and early 20th centuries, with native plants growing along the edges providing food and shelter, probably increased the species across most of its range from the early 1800s until well into the 20th century. Today, farms are much larger and far “cleaner”—with weedy edges removed by mowers or pesticides. Fire is better controlled—too well controlled, some would say—and much less a shaper of landscapes. Development and industry have decreased open space across the continent. And finally, nonnative plants are replacing native plants throughout the bobwhite’s range. Throughout the report, the authors sound understandably frustrated by the depth and breadth of the problem, by their diminishing resources (among other problems, as hunters’ numbers decline, so do the conservation funds the activity generates), by the lack of concern in many states, and by the lack of a nationally empowered agency that might come to their assistance. Since the bobwhite is neither a migratory bird nor a designated endangered species, the federal government has little responsibility for protecting it. 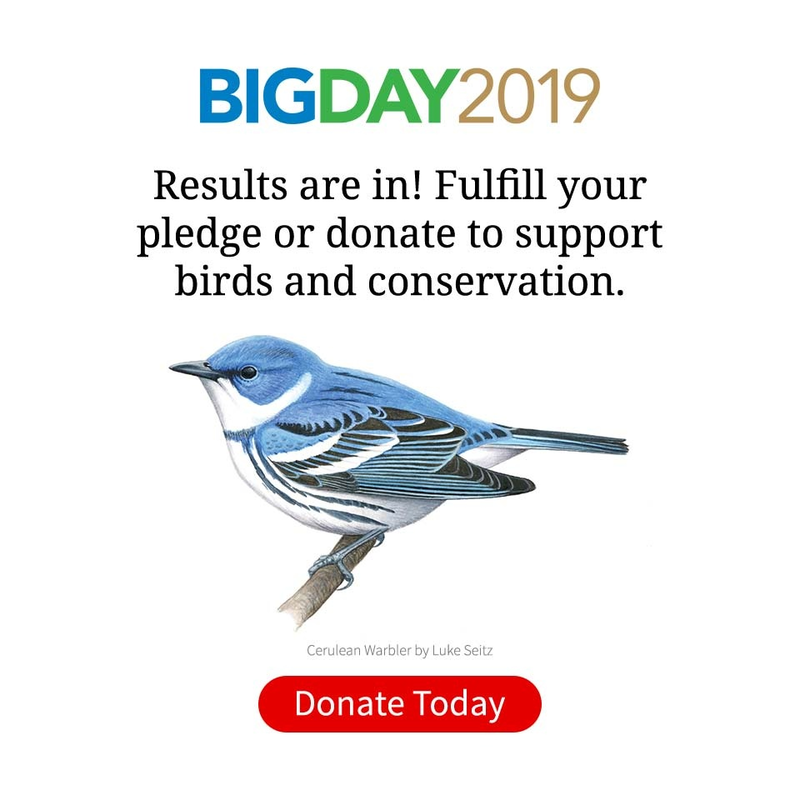 The message here: if you care about birds or grasslands, you should care about the bobwhite. 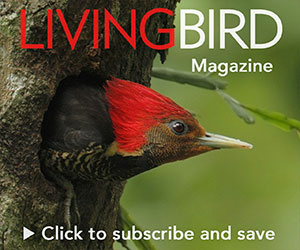 Birders, we are urging you. Take up this cause! So far, it seems, NBCI has had little success on that front. The “Conservation Partners” page on their website lists 56 organizations that have signed on to join in their effort to save the quail. Only one is a birders’ group: Southeast Partners in Flight. This apparent lack of connection has perhaps come about because hunters have not needed us before. Or, perhaps it is because birders are uncomfortable with hunters’ causes, despite all the good those hunters’ fees have done for us over the past three-quarters of a century. Or more likely it’s a little of both. The cause of the divide is irrelevant, of course. If the Northern Bobwhite is to be saved, it will need all the friends it can find, from whatever side they come. Can We Save the Birds of Bonkro, Africa?